Nikos Hotel is located in very close to the beach and the city center of Nikiti. It has been recently renovated and boasts comfortable & stylish spaces that are fully equipped and ready to meet customers needs. 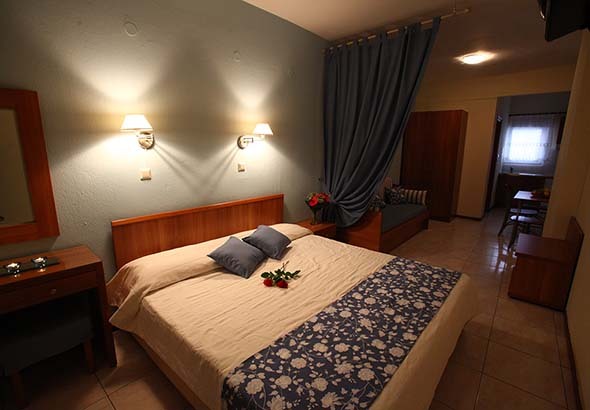 It offer rooms with two or three beds and operated from May until mid-October.